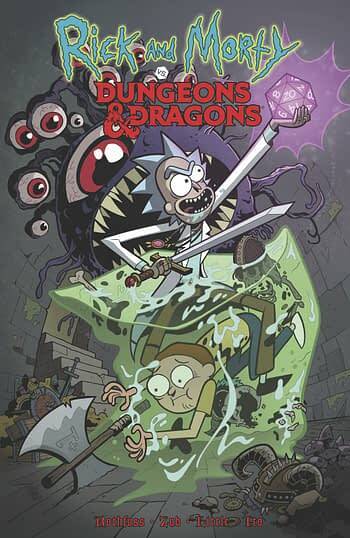 Home » Comics » Second Volume of Rick & Morty Vs Dungeons & Dragons For October? Bleeding Cool has got the tipoff from a superior source that we are to expect a second volume of the comic book series that crossed over the world of Rick & Morty and Dungeons & Dragons for October. 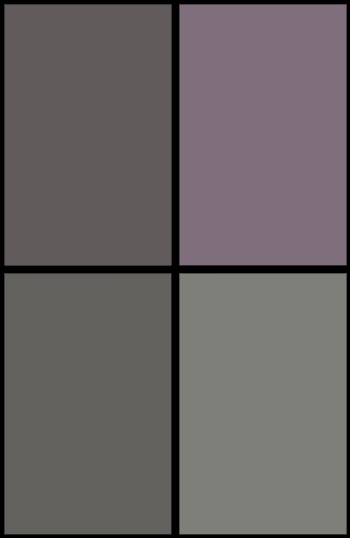 The original four-issue mini-series Rick & Morty Vs Dungeons & Dragons was co-written by Jim Zub and Patrick Rothfuss, and drawn by Troy Little, and published with Oni Press and IDW Entertainment, who each hold the respective license, with IDW handling the actual printing and distribution. Could that swap over for volume two? And will the creative team be the same? #1 New York Times-bestselling fantasy author Patrick Rothfuss, acclaimed comics writer Jim Zub, and Eisner-nominated artist Troy Little bring you the comics crossover of the year! You’ve got to (bellllch!) roll for initiative, Morty! Two pop culture juggernauts are teaming up and neither multiverse is prepared for what comes next! When Morty sees a cute girl at school playing Dungeons & Dragons, he asks Rick to show him the ropes, only to discover that his grandfather is a veteran gamer. Next thing he knows, the entire family has been pulled into a campaign that escalates from virtual D&D simulations to alternate universes governed by the rules of the game. And as it turns out, Rick isn’t the only one who knows his way around a d20.